No South Carolina is not Hawaii. Still, heavy coats, scarves and hats, heavy boots are rarely worn in the Carolinas on the coast. People don’t hunker against the cold on their way to work. 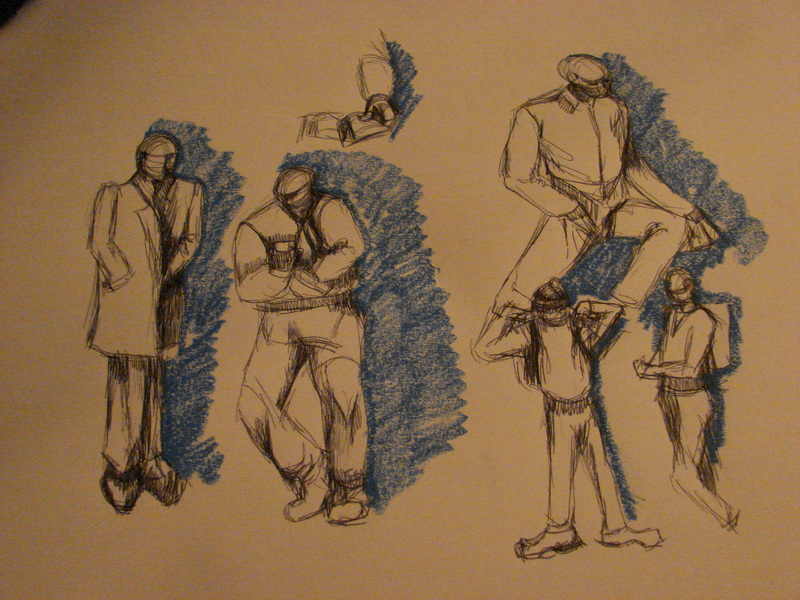 Consequently, there are few chances to sketch people’s body poses when they encounter the cold. These impromptu sketches were done in the morning.